We've always been big fans of adventure, whether we are exploring our own state or jumping on a boat and heading off to the Bahamas, you better believe we are always willing to indulge in our wanderlust! It doesn't matter if we are celebrating one of our birthdays (or a friend's birthday), enjoying a little getaway for our anniversary, or just wanting to escape from reality for a little bit, I know where I want to take our next vacation - Atlantis Resort in the Bahamas! 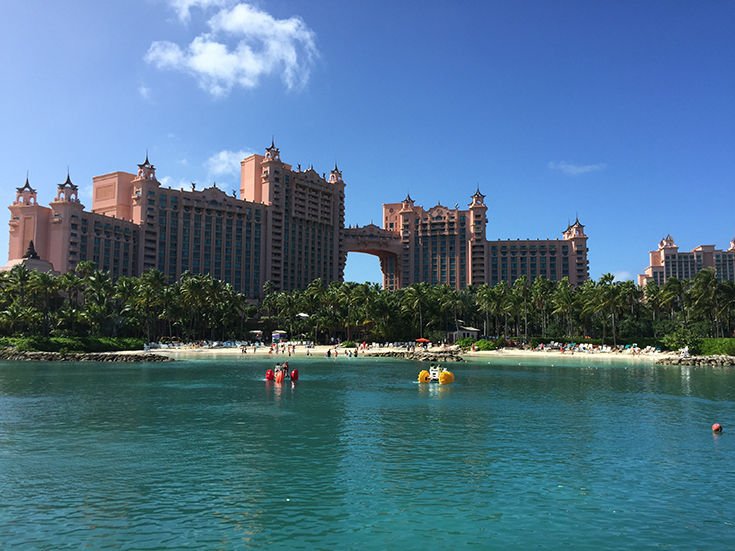 With stunning accomodations, a casino, a water park, nightclubs, and restaurants all in one location, Atlantis is a dream destination for anyone looking for the perfect getaway! Why am I so excited to plan our next trip to Atlantis? The Resort offers an all-inclusive deal! 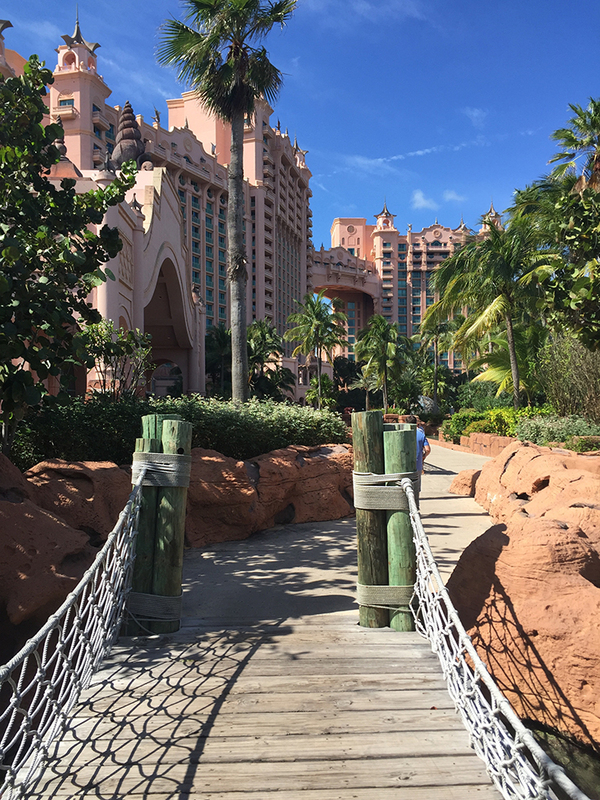 One thing I love the most about the idea of visiting Atlantis is their all-inclusive pricing option! Book your trip for 3 or more days and you'll be able to enjoy everything the Bahamas have to offer without spending an extra penny! Whether you want to participate in one of the fun activities, dine at one of the fancy restaurants, or get a little adventurous and participate in one of the activities - it's all included! There are SO many amazing, once in a lifetime things to do! While you can go the all-inclusive route, I feel as though I need to mention that some of the excursions are a must as well! 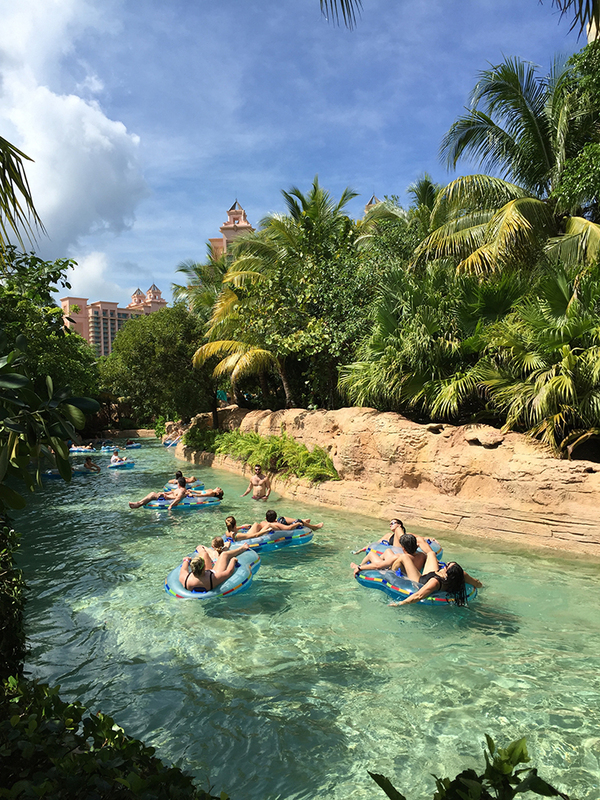 If you're the type that loves water adventures, Atlantis has you covered! Want to go out on the town and celebrate your last night of single life, have your bachetlorette party at Atlantis and enjoy some of the amazing nightlife! Looking for something a bit more low-key? You can check out the Spa! Plus, if you're a parent, you can send the kids on a little adventure of their own... with several different age groups they are bound to have a blast once they get involved! No matter what you have in mind, I almost guarantee this dream vacation destination offers you the option to have the perfect getaway! They will help you celebrate! If you have a special occasion coming up, Atlantis is the perfect place to celebrate! 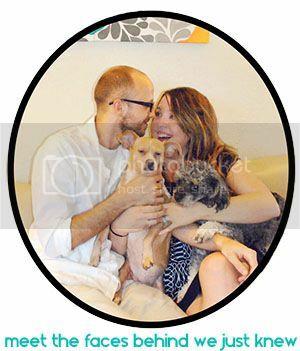 They want to make sure they help you plan the perfect wedding, honeymoon, reunion, birthday, graduation, or other important events in your life. 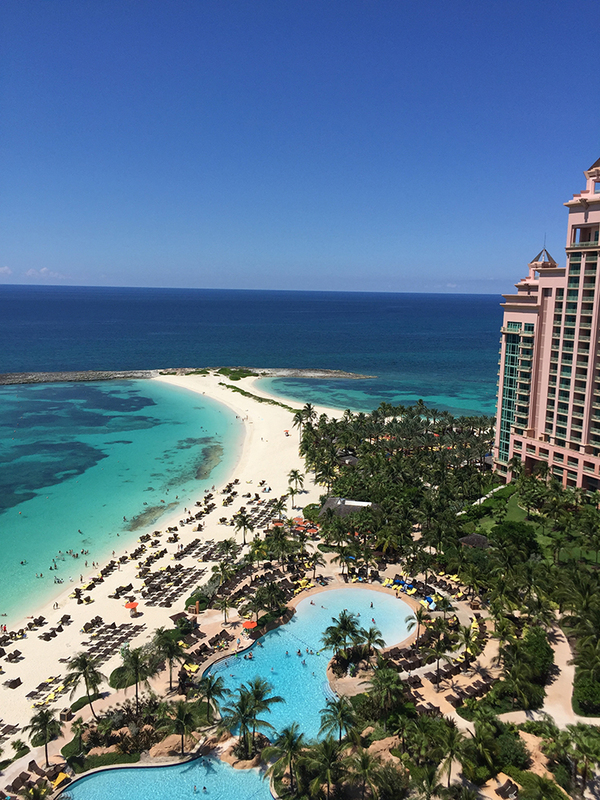 Want to plan a special event on your next trip to Atlantis? Be sure to reach out and inquire about how the resort can assist you, I guarantee they'll love the opportunity to help you plan the celebraion of you dreams - no matter what the occasion! Want to score an extra special deal, mention the code below when booking your trip! So tell me, are you ready to celebrate your next special event in paradise...? or are you ready to just get away from it all on an all-inclusive vacation? I'd love to hear all about your plans to getaway next in the comments below.